"Dream Extracurricular Lecture" is a project presented by THE TWENTY FIRST CENTURY CLUB. It invites people who are active in various fields to elementary schools and middle schools as guest teachers. The visiting teachers talk with the students and interact with them as they create something together. LDH strongly approves of the idea and has been participating in this project since 2006.
and let children know the importance of having dreams. 2018.10.3【Broadcast from 12:00 on 10/6 (Sat. )】EXILE ÜSA, EXILE TETSUYA, Kenchi Tachibana, Naoki Kobayashi and Takanori Iwata appearing on BS Fuji's "CHANGES: The Current State of the Disaster-Stricken Kamaishi City & Chuugakusei Rising Sun Project 2018"! 2018.4.27"Inspire Japan by Dancing! Dream Extracurricular Lecture Rising Sun Project for Middle School Students 2018" starts!! 2018.3.14"Chuugakusei Rising Sun Project 2017 DREAMS ~Chuugakusei to EXILE ga Dance de Kataru Yume~" will be aired on BS FUJI from 16:25 on 3/24 (Sat.)! "Dream Extracurricular Lecture" aims to create an opportunity for students from elementary schools and middle schools to set a clear goal for themselves. LDH JAPAN artists also participates in many other activities such as Paralympics games. 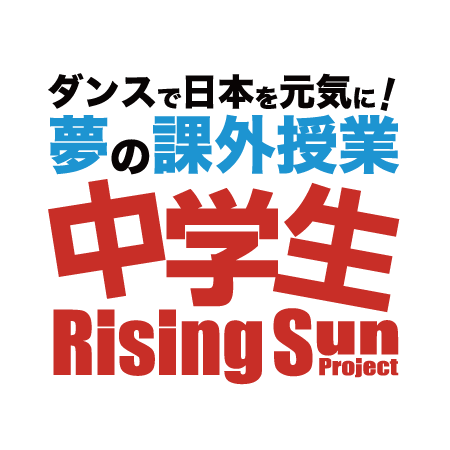 we launched "Rising Sun Project for middle school students". Our artists hold "Rising Sun" dance lessons and present performances with children of Tohoku region. The Head of Social Contribution Department of LDH JAPAN Inc. I hope this project can help children to find their dreams and desire to challenge them. That is the goal of "Dream Extracurricular Lecture". This project was initiated in 2000 and will welcome its 17th anniversary this year. Today's children are the pillars for the future of Japan. It is the duty of us adults to raise them. I believe that they will become the sourse of energy for Japan, so I will keep on carrying out these activities.